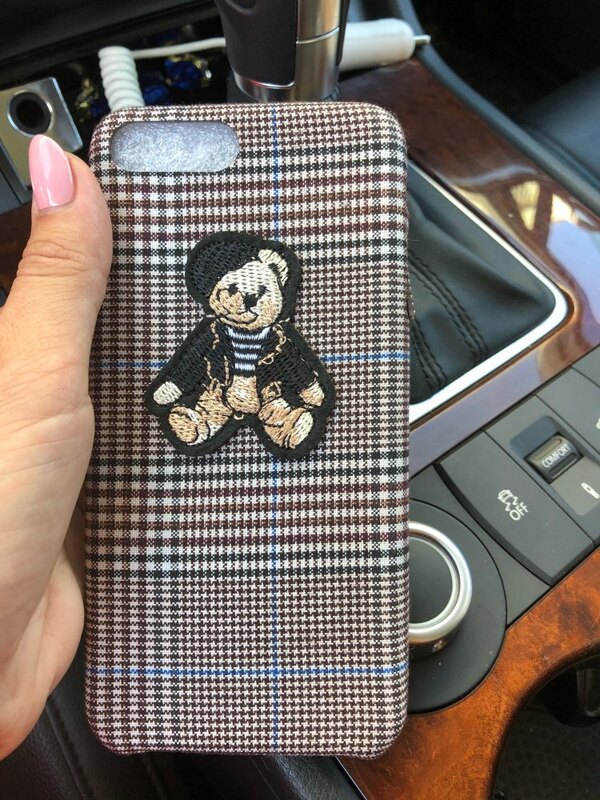 Bear Grid Fabric iPhone Cute Phone CasesOutfit Accessories. From Jenny Grid Fabric Cartoon Case Capas for iPhone 7 7plus 6s 6plus 8 8plus X. Bear Soft Cover Back Phone Bags Christmas Gifts. Compatible iPhone Model: iPhone 6 Plus, iPhone 7 Plus, iPhone 6s, iPhone 8 Plus, iPhone 6s plus, iPhone 8, iPhone 6, iPhone X, iPhone 7. Size: For iPhone 8 8plus 7 7plus 6 6s 6Plus 6SPlus X. Model: For iPhone 7 8 7plus 8+ 6 6s 6Plus 6SPlus. Paypal, MasterCard, AmericanExpress, JCB, Discover, and 2CO payment are all allowed. When you place an order, Please choose a shipping method and pay for the order including the shipping fee. Note that all Touchy Style Outfit Accessories items have free international shipping. We will send you the item as soon as possible once your payment is completed. We do not guarantee delivery time on all international shipment due to differences in customs clearing times in individual countries, which may affect how quickly your products is inspected, For that reason, the shipping delivery time is extended by default even for fast shipping methods. Differences in color may be caused by some other reasons such as color reflection in the monitor, lighting, background etc. However, if you believe that the item received is a wrong color, please contact us immediately. Contact us if you have any problem before you leave feedback. we will solve all the problems. All the photo seller, very cute, fast less than two weeks. Thank You Very Much.